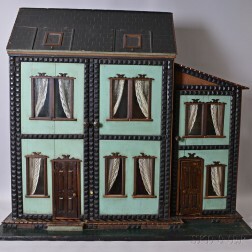 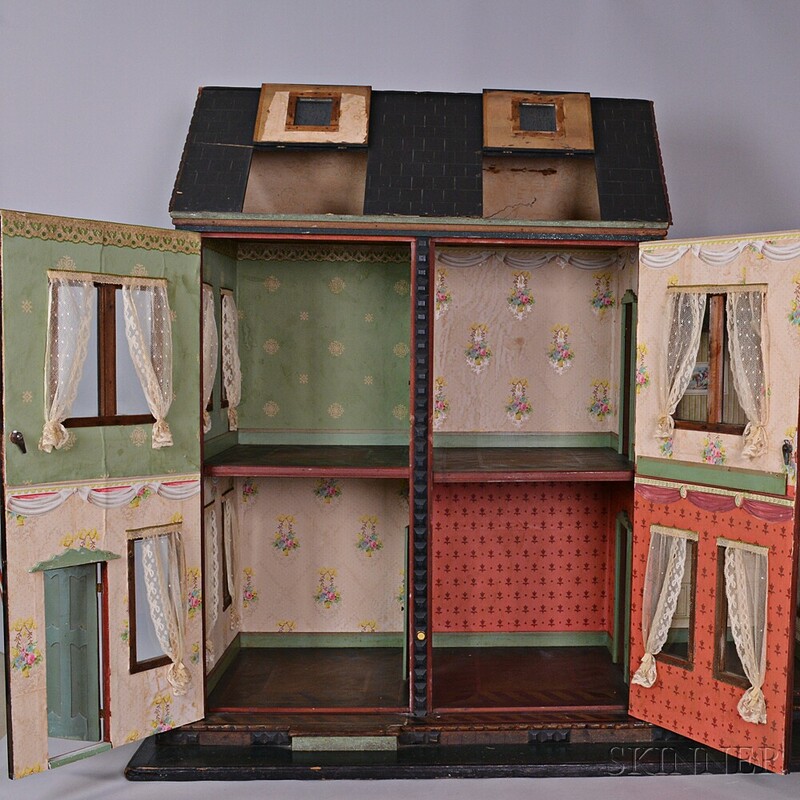 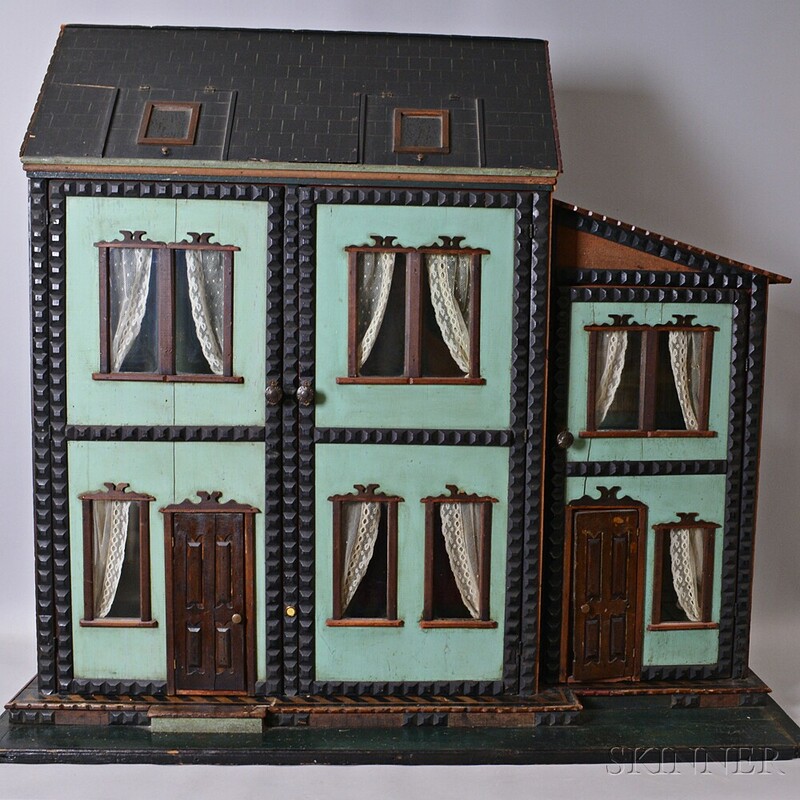 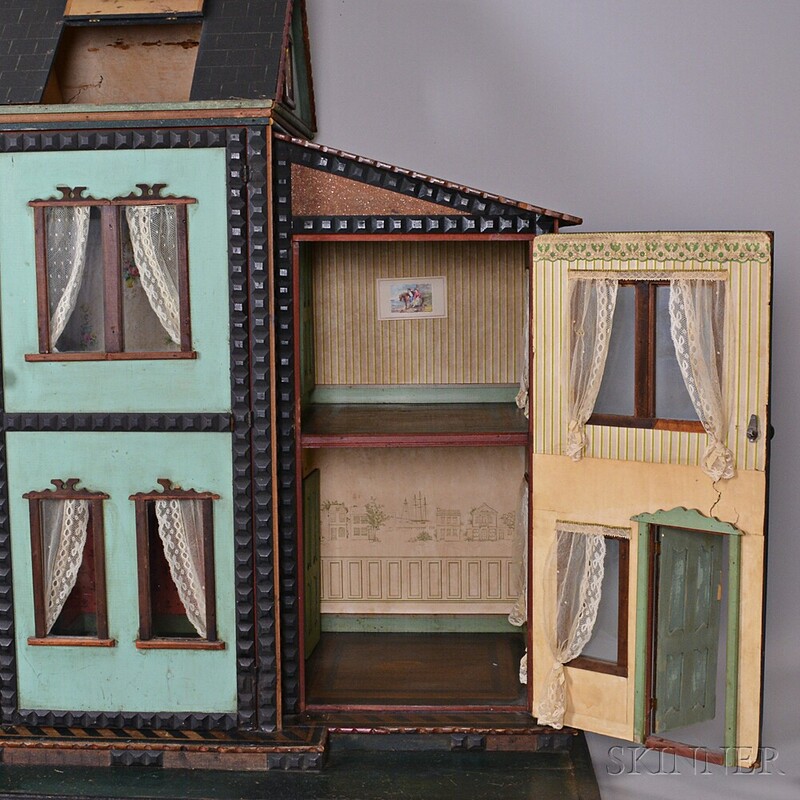 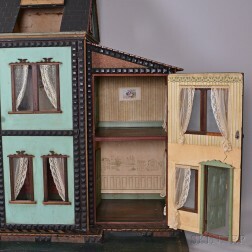 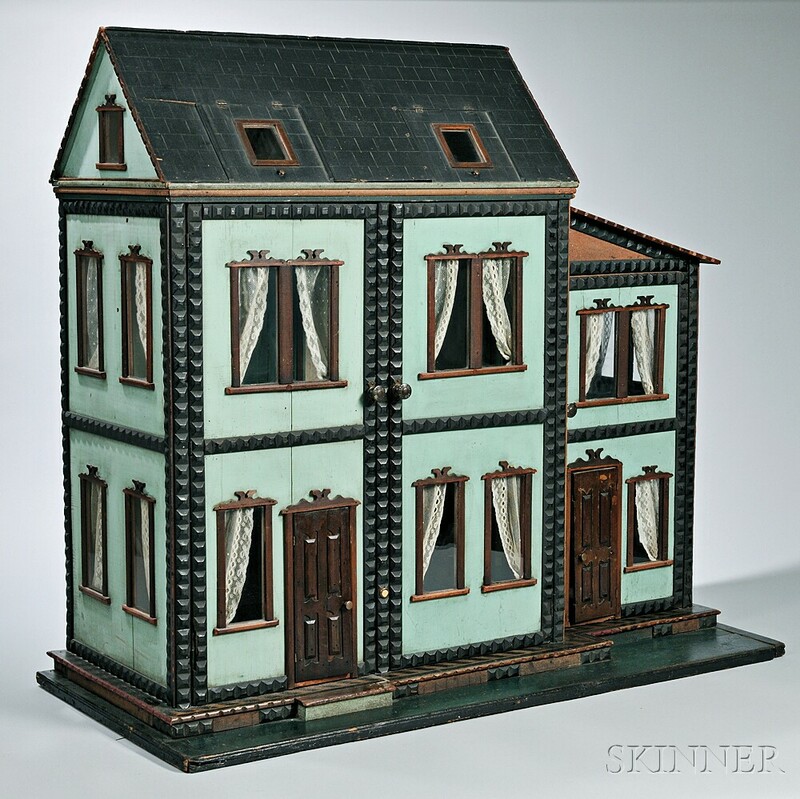 Six-Room "Mystery" Dollhouse, America, late 19th/early 20th century, the blue-green exterior with scrolled lintels, faux slate roof, and tri-colored, glittered cornice opening to six wallpapered rooms with stained parquet floor, possibly retailed by F.A.O. 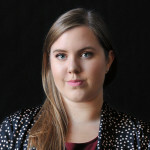 Schwarz, ht. 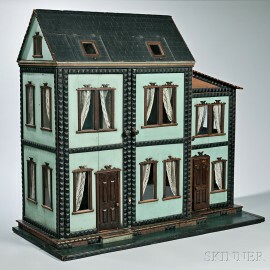 41 1/4, wd. 45, dp. 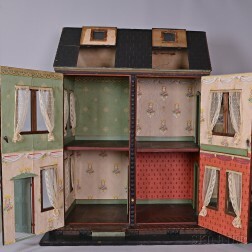 21 1/4 in.